There are many times when a home renovation is needed. 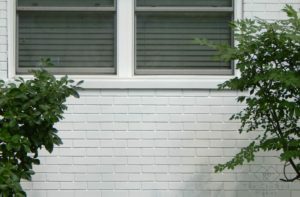 Some reasons might be an outdated home, repairing damage from a disaster, or even out of necessity such as handicap access. I have had some experience with renovations, both good and bad. Here are 5 things to think about before starting a renovation (in no particular order). The tile floor is being replaced and the subfloor is completely rotten. Some of these examples might be to the extreme, but in reality, they can happen. Knowing your backup plan is something that can make your life while renovating much less stressful. Even if you are doing most of the renovation yourself, there might be things you need a professional to do if a problem arises. Although I have done some plumbing and electrical work while renovating, I by no means, am a professional. If a water line busted under my house I would call a plumber and those are numbers you need to have handy “just in case”. Good friends, who will let you crash on the couch if your house is unlivable!! ? 2. 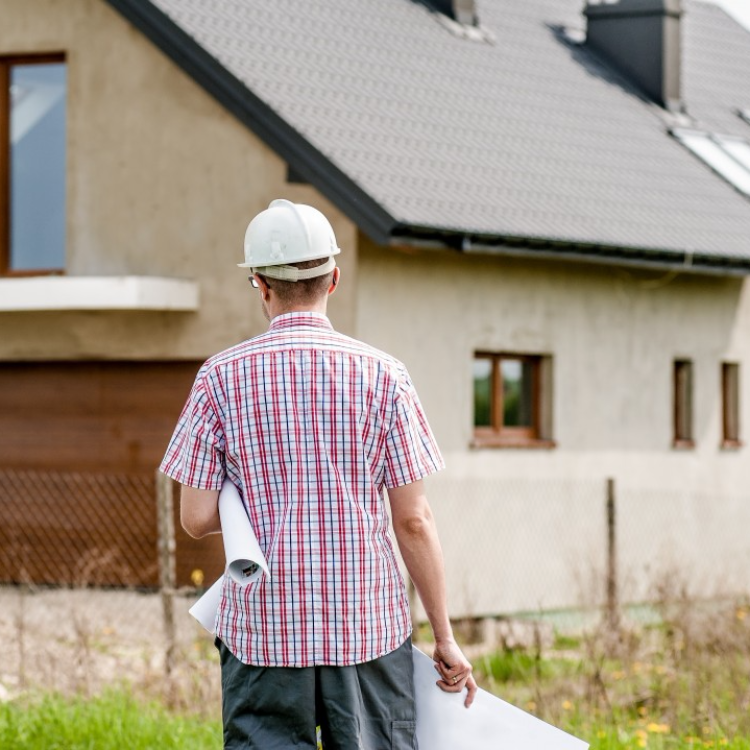 What are your local building codes and permits needed? When you are undertaking a renovation, all of the city and county codes need to be followed to the letter. Not doing so could cause you problems in the long and short term. If you go to resell your home at a later date and the proper permit was not on file, a hefty fine could be coming your way. I know that dealing with most local governments can be a hassle, but it necessary. A lot of contractors won’t even touch major jobs such as plumbing or electrical work without a permit. I believe in some places they can lose their license for not obtaining the proper permits. 3. What is the cost of the job? The cost of a renovation job is something you need to put a lot of thought into. When doing bigger jobs such as a total kitchen renovation or a gut bathroom job, the amount of money needed will help you make decisions. There are some things that you can estimate almost exactly, for the most part. Things such as how much backer board you need and the cost will only fluctuate a little depending on the hardware stores price, but the square footage of the room will not change. The design choices are a little tricky when undertaking a renovation. You could like two different sinks, for example, and the price difference could be in the thousands. To make it easy on yourself pick out a budget that you are willing to go to and stop at that. Knowing the amount you are okay with spending will help you when picking out fixtures, sinks, etc. within your price range. Another aspect of the cost of the job is contractor prices. Even when doing a renovation yourself, there may be things you don’t know how to do or just simply don’t want to do. For those jobs, it is wise to shop around and get several estimates from contractors you either know or are highly recommended by friends and family. Getting different quotes could potentially save you hundreds or thousands of dollars during a renovation. 4. How Long Will the Renovation Take? 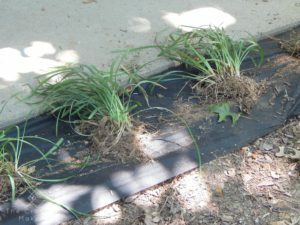 Depending on what you are renovating, the project could take a couple of days or even up to several months. 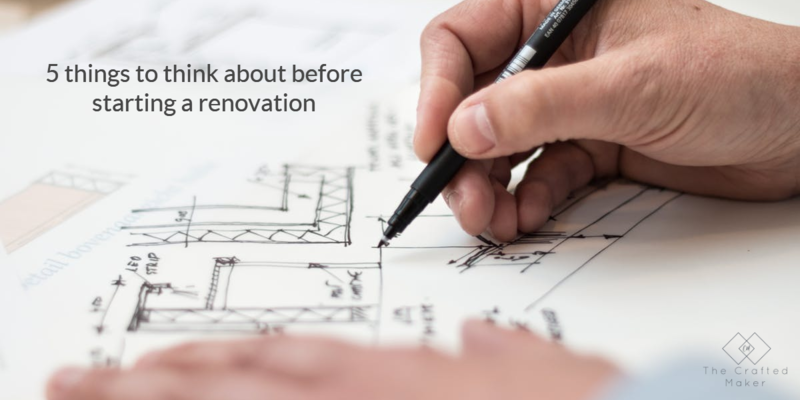 It is always best to plan a renovation around your life, not the other way around. I have done both and believe me when a renovation is going on, nothing is comfortable in the house. Can you only imagine starting a total kitchen renovation right before Thanksgiving or Christmas?! No thank you! If properly planned out and a realistic time frame is set for the project, the stress can be tamed way down. Give yourself plenty of room for unexpected things to pop up. 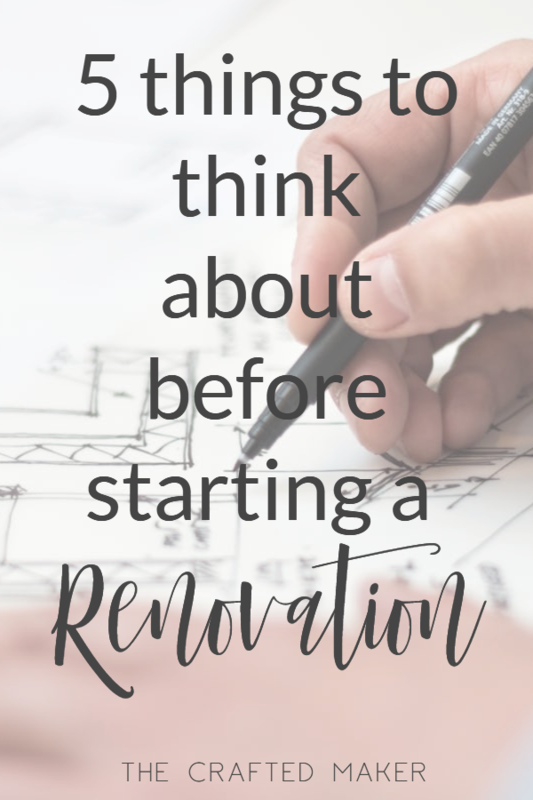 For some reason, when it comes to house projects, I tend to underestimate the time it will take, so I try to allow myself a longer amount of time now to get a renovation completed. 5. Is the Renovation Worth It? There are two ways to look at this question and two situations to go along with it. Are you in your forever home. You know beyond the shadow of a doubt that you are never moving again. This is just your “right now” home and you know you will be moving in the future. If you are a person who finds yourself in the first situation, I say go all out with your renovation. If you have the money and want something different in the home you are living in forever there is nothing that is not “worth it” if it’s what you want. Will you get your money out of the renovation when selling. 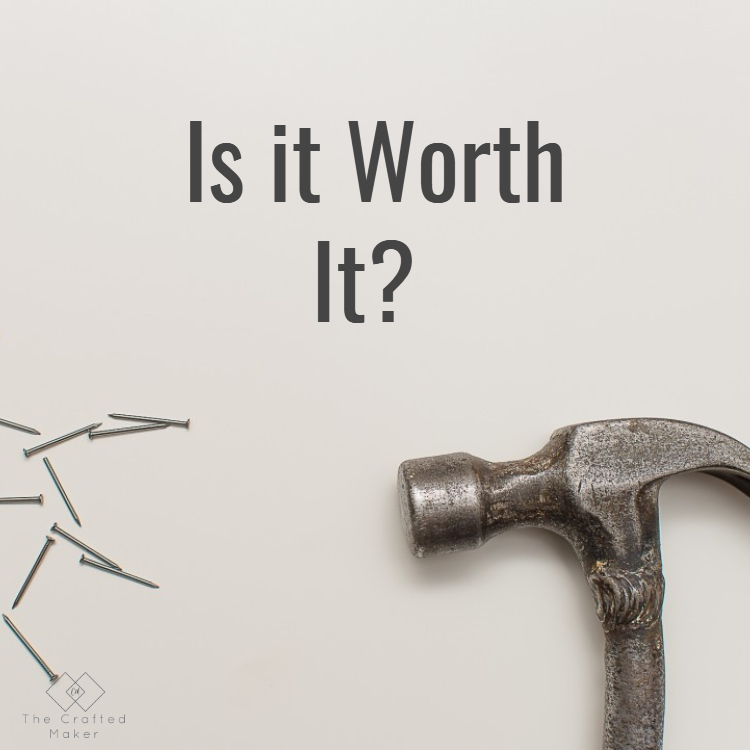 If you live in a 250K house and you want to do a 75K kitchen remodel, chances are likely that you will not get that money back when selling your home. Is the time and money spent worth it? If you are wanting an updated bathroom but only have limited funds, there are other options you could do such as replacing the vanity or changing the paint color. A gut bathroom job is not necessary if you just want an updated look on limited funds. 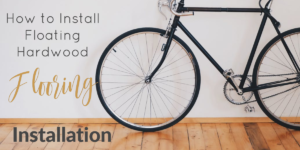 If you are planning a renovation soon or in the future, I hope this post gave you some good things to think about. Renovating is such a fun process and the outcome is usually amazing. So good luck with your renovations and I hope they make your house feel more like a home to you.